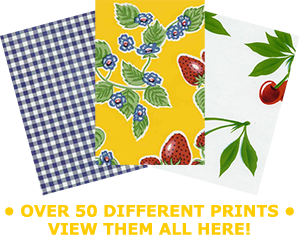 We sell oilcloth by the yard! Any of our prints can be custom ordered for you in lengths of two yards or more (will ship within 5 business days). Fabric by the yard is $10/yard. Whole yards only, please. You can change the quantity of yards in the cart once you have added your print to the cart.